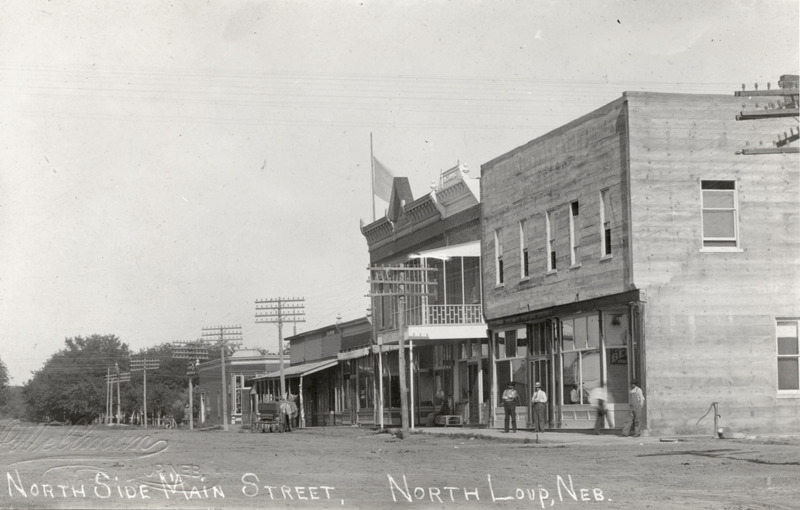 Early Day Street Scenes of North Loup, Nebraska. 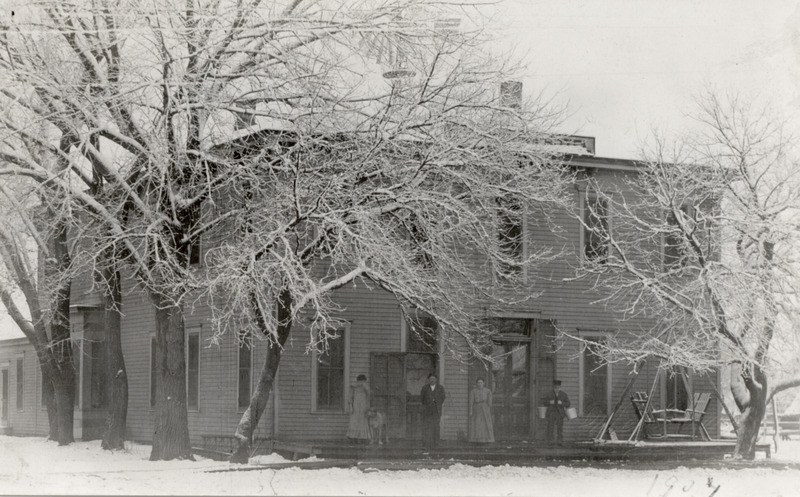 From Post Cards. 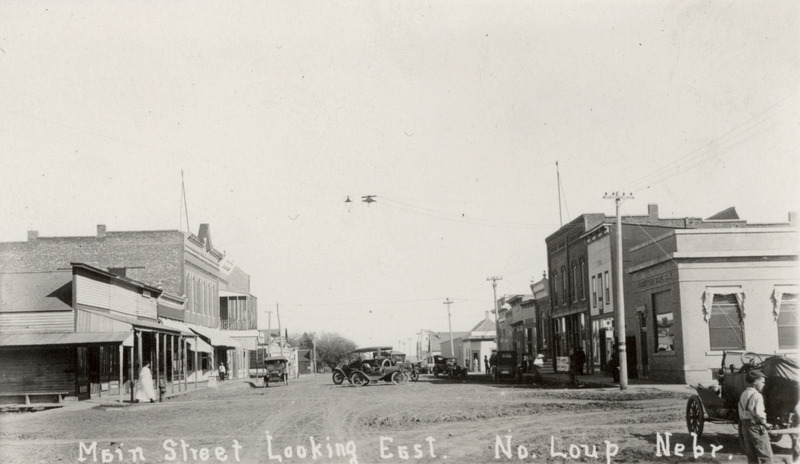 Main Street, North Loup. 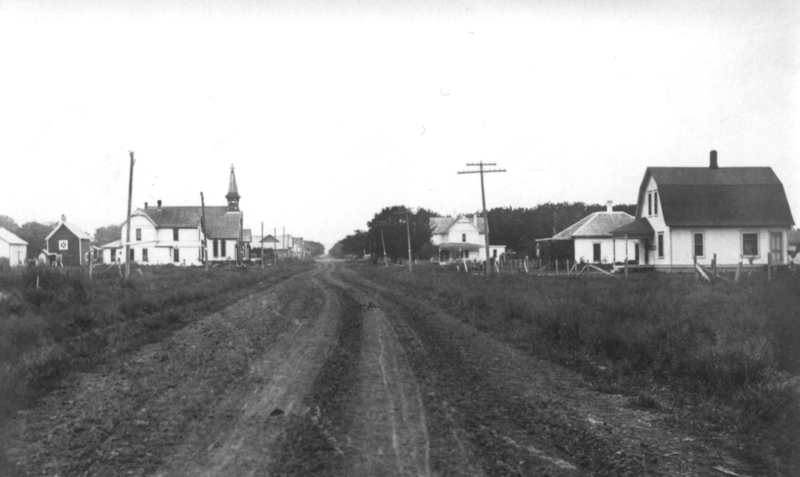 c. 1918. 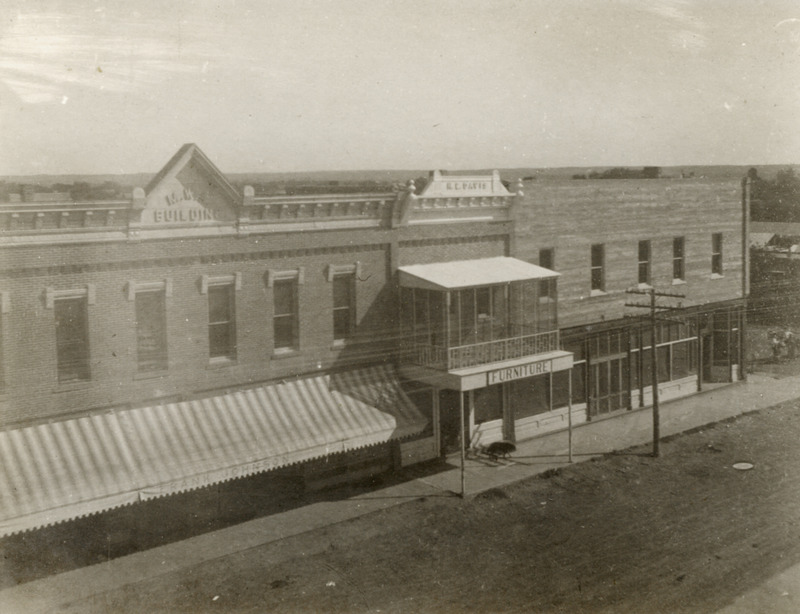 Arlington Hotel. 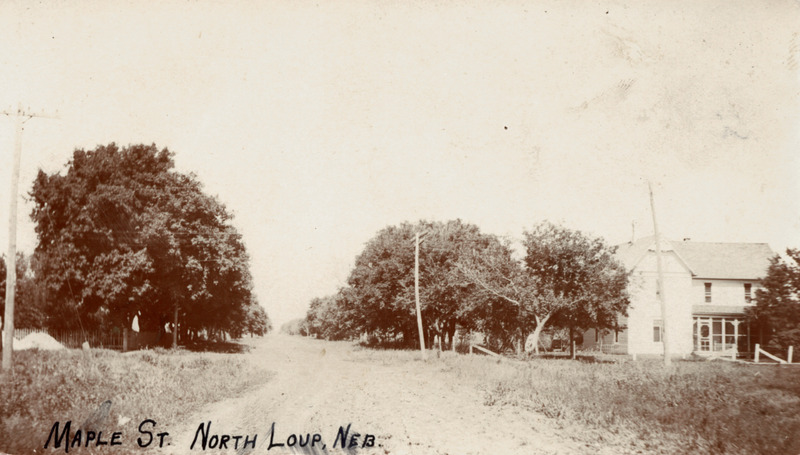 North Loup, 1904. 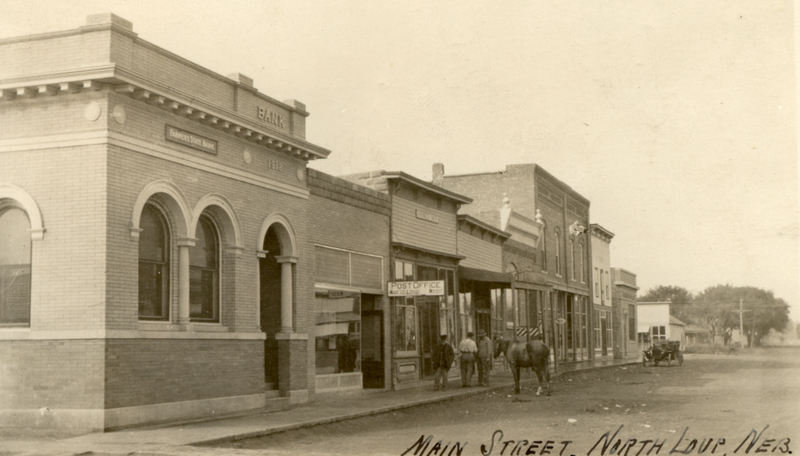 North Side Main Street, North Loup. 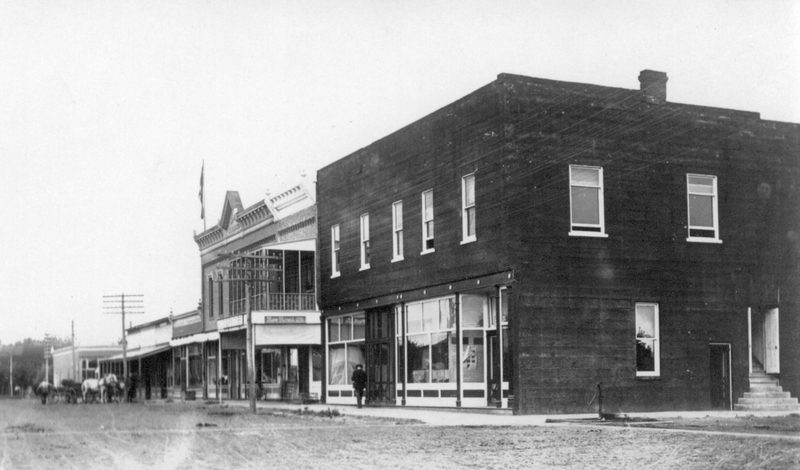 c. 1908. 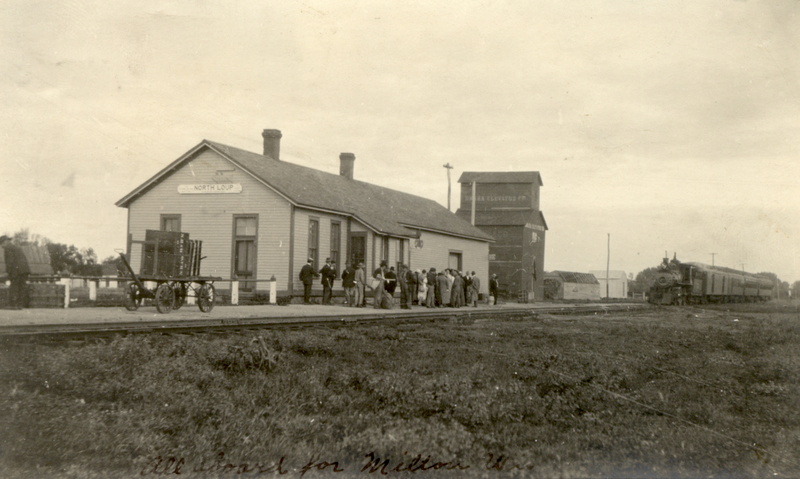 Caption reads, "All aboard for Milton, Wis." 1916. 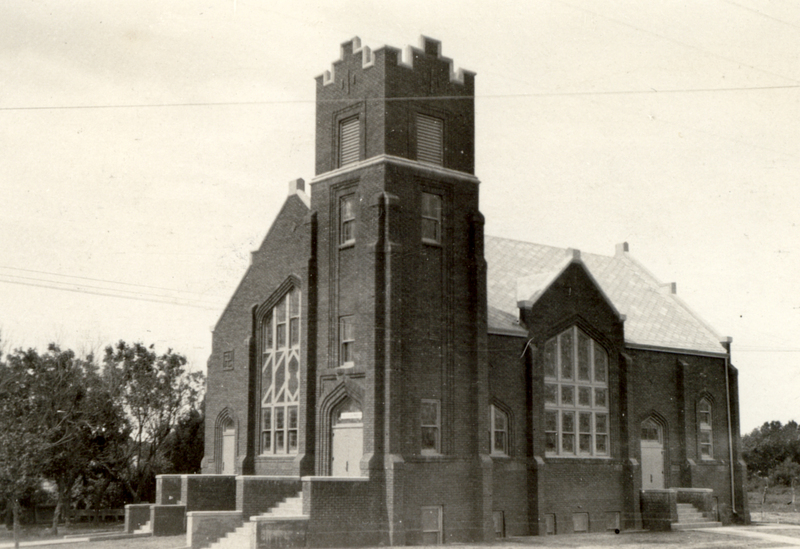 Seventh Day Baptist Church, North Loup. 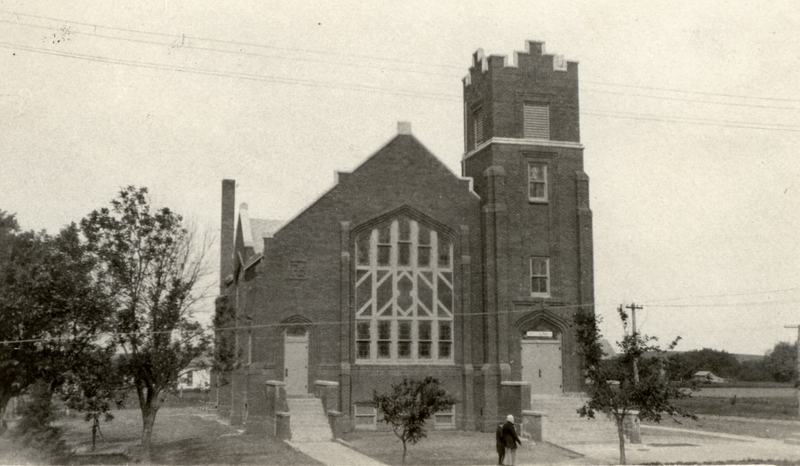 Before the fire. 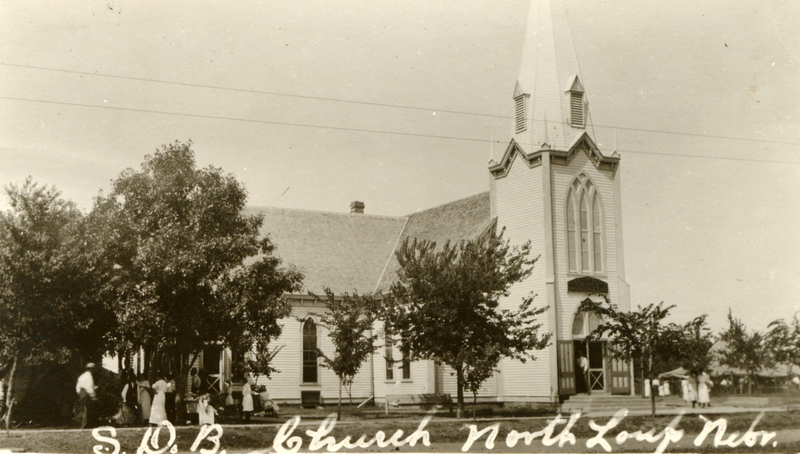 Seventh Day Baptist Church, North Loup.